The 2012 PokerStars EPT Barcelona stop is now complete and it was a huge success, as evident by the fact that the main event had a playing field of 1082 poker players. This total easily surpassed last year’s numbers. In the end Mikalai Pobal was able to win the main event in Barcelona, which was by far the best finish in Pobal’s poker career. The two biggest names that made the final table in the EPT Barcelona main event are John Juanda and Ilari Sahamies. It took 11 hands for Juanda to be eliminated from the final table in 8th place, but Sahamies managed to make it heads-up. The chip counts were fairly close (20M to 12M) in favour of Pobal once the action heads-up. Many people thought the heads-up action was going to take awhile to complete, but Sahamies was aggressive like usual and it cost him this time, as he ran into a monster. On the final hand of the tournament Sahamies raised the pot (600K) preflop and it was quickly re-raised by Pobal (1.6M). Sahamies moved all-in with 9/5 of spades while Pobal snap called with pocket aces. There were 111 players in the EPT Barcelona €10K High Roller tournament. Bertrand Grospellier ended up making it to the final table in this event last week, but he was knocked out early in 7th place once the final table started. Before the heads-up action started Polito and Bilokur made a deal based on chip counts that seen them earn roughly the same amount. 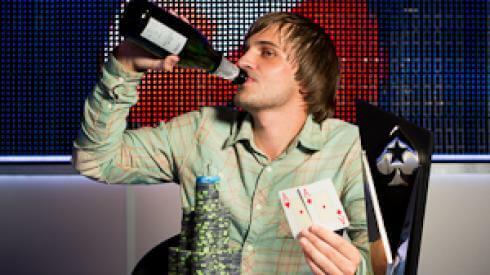 The 1st tournament last week in Barcelona last week was the €50K Super High Roller. A total of 55 players took part in the event, which is a big playing field considering the buy-in was a massive €50,000. The playing field was extremely strong as well and the final table included names like Dan Smith, JC Alvarado, Ilari Sahamies and Erik Seidel. Some of the big names that participated in the tournament, but didn’t make the final table include Daniel Negreanu, Dani Stern, Phil Ivey, Jason Mercier, Sorel Mizzi, Luke Schwartz, Scott Seiver, Andrew Lichtenberger and numerous others. This was a tough field to try and navigate through and Dan Smith continued his 2012 run with a victory.